Grand Master Gene Wolfe, 87, died April 14, 2019 after a long struggle with heart disease. Wolfe was famed for his ambitious, challenging, and enthralling novels and stories, most famously the Book of the New Sun series. Author Vonda N. McIntyre, 70, died April 1, 2019 of cancer. She is best known for her groundbreaking feminist SF. Writer W.H. Pugmire, 67, died March 26, 2018 in Seattle WA. Pugmire was best known for his Lovecraftian fiction, and was a beloved figure in horror fandom. Author Janet Asimov, 92, died February 25, 2019. Legendary editor and publisher Betty Ballantine, 99, died February 12, 2019 at home in Bearsville NY. Her career in publishing began in the 1930s, and she was instrumental in the rise of mass-market paperbacks and helped found both Bantam Books and Ballantine Books. Author Carol Emshwiller, 97, died February 2, 2019 in Durham NC, where she was living with her daughter. Larry Eisenberg, 99, died December 25, 2018 in a Lincoln MA hospice of complications from leukemia. Eisenberg published dozens of SF stories in the ’60s, ’70s and ’80s, beginning with “The Mynah Matter” (1962), and is best known for his sequence of humorous SF stories about Emmett Duckworth, many collected in The Best Laid Schemes (1971). Story “What Happened to Auguste Claro?” appeared in Dangerous Visions (1967). Legendary comics writer and editor Stan Lee, 95, died November 12, 2018 at Cedars-Sinai Medical Center in Los Angeles CA. Fan and collector David J. Willoughby, 67, died October 5, 2018 of complications from pancreatic cancer at home in Tuscola IL. 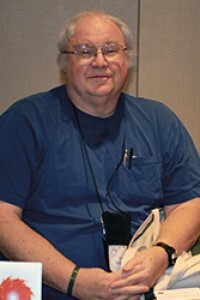 Willoughby was a regular and beloved presence at SF conventions for decades, known for his avid collecting and the vast library he assembled over his 50 years in fandom, and as a dedicated autograph-seeker. Writer Michael Scott Rohan, 67, died August 12, 2018 in an Edinburgh, Scotland hospital. Award winning editor and author Harlan Ellison, 84, died in his sleep on June 28, 2018. Editor and author Gardner Dozois, 70, died May 27, 2018 at a Philadelphia PA hospital of a sudden overwhelming systemic infection. Dozois was involved in science fiction for over 50 years, and was easily one of the most influential editors in the modern era of the field. Author Kate Wilhelm, 89, died March 8, 2018 in Eugene OR. Wilhelm was an influential SF writer and writing teacher with a career that spanned six decades. 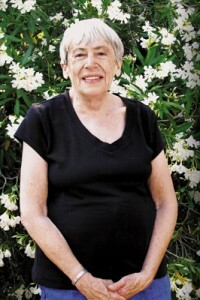 She wrote more than 40 books of SF and mystery, helped run the Milford Science Fiction Writers’ Conference, and was instrumental in the creation of the Clarion Workshop. Author, editor, critic, and historian Peter Nicholls, 78, died March 6, 2018 in Melbourne, Australia. Nicholls created (and edited, as long as his health would allow) The Encyclopedia of Science Fiction, arguably the single most essential reference work in the field of SF. Writer Victor Milán, 63, died February 13, 2018 in Albuquerque NM after years of declining health due to cancer. Dallas Mayr, 71, who wrote horror as Jack Ketchum, died January 24, 2018 in New York. He had cancer. Ketchum was named a World Horror Grand Master in 2011, and won a Bram Stoker Award for life achievement in 2015. Grand Master Ursula K. Le Guin, 88, died January 22, 2018 in Portland OR. Author Julian May, 86, died October 17, 2017.